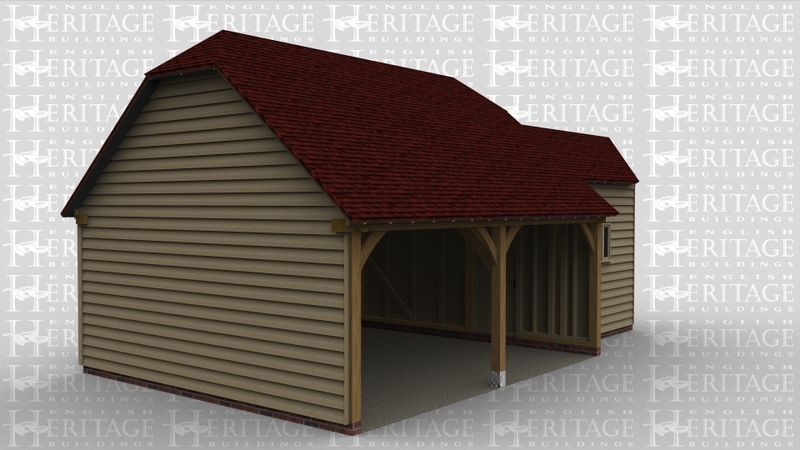 A 3 bay oak framed garage made up of 2 frames. 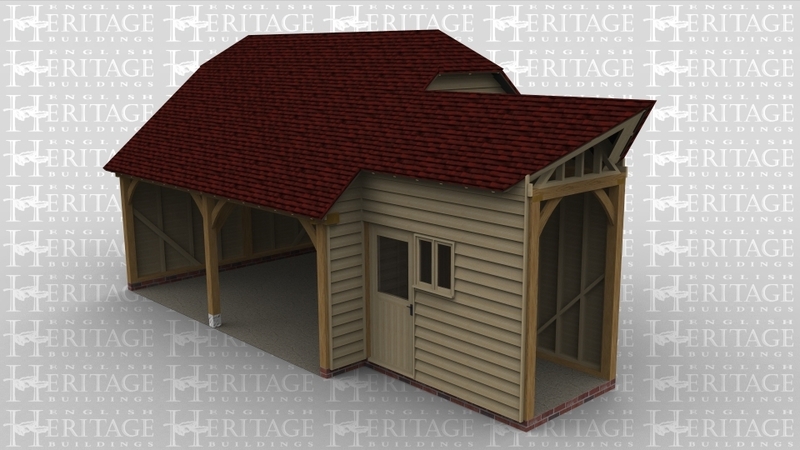 The first frame is 2 bays in size and is the garage area with both bays left open at the front with a barn hip style roof either end and on the right wall is a softwood solid single door connecting to the other frame. 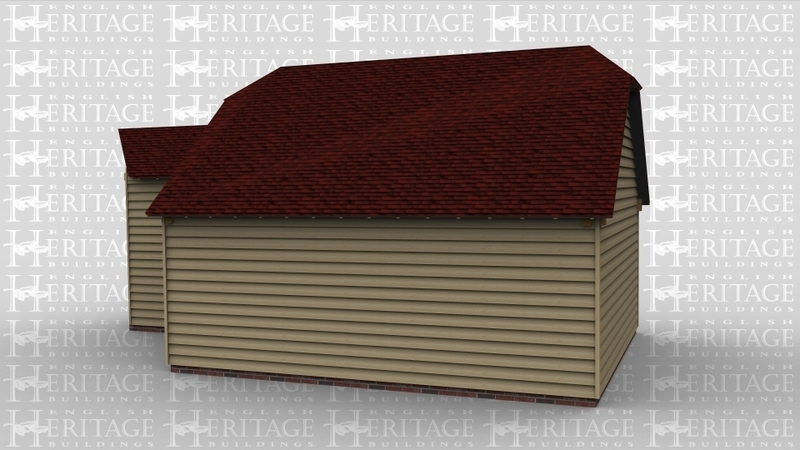 The second frame is a link building between the garage and an existing building with a softwood solid single door at the front and a 2 light window .